Why don’t I recognize Earth? 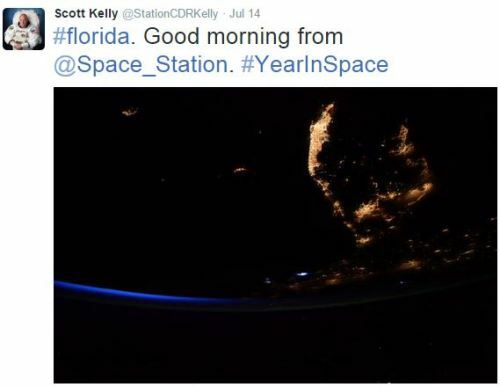 I follow the astronaut Scott Kelly on twitter. While he was in space he did this thing with earth pictures where he likened them to art without identifying the place in the picture. I could never figure out the place – although sometimes I think a cartographer would not have been able to. Because he’d focused on a gorgeous pattern but it didn’t have an easy reference point. But sometimes he challenged people to identify the place and it did have something you could reference if you knew something about geography. I could NEVER identify it. EVEN when he said what I was looking at, I was at a loss for several moments because it’s not oriented the way my schooling taught me the earth is oriented. I think we do a big disservice to kids in constantly orienting maps with the north at the top. It makes us internalize the idea that there is a top to earth. AND THERE ISN’T. No up. No down. North at the top is just a function of tradition. Yeah, I know the magnetic pole thing – but honestly – in space its just a ball floating in a whole lot of vacuum. And while the planets are on a sort of plane with the sun, AGAIN, is that really related to how the continents are on our sphere? This is a Dymaxion map designed by Buckminster Fuller. Its designed to give land masses their proper ratios. Notice that Greenland is NOT the same size as Africa. Of course this means none of the water is accurate. Maps, man. Can’t be trusted. 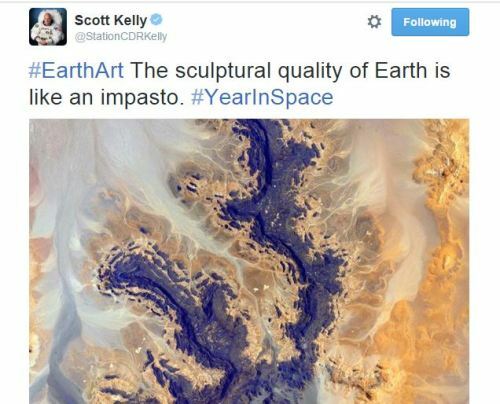 Posted on March 3, 2016 May 14, 2016 by itsathought2Posted in Opinions and Thoughts, UncategorizedTagged @stationcdrkelly, dymaxion map, earthart. Very interesting. Geography wasn’t my best subject. Now I can blame something besides me. 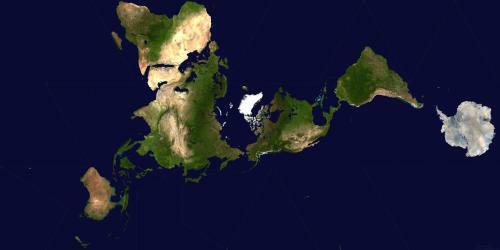 I often wondered if Greenland was so huge, why it wasn’t more populated. When I lived in Korea I loved their world maps – of course they didn’t put themselves way off on the right, but smack dab in the middle. So the USA was in the eastern half and the (then) USSR in the west. The Earth rotates on an axis and therefore North is always North and the top half of the planet..that never changes.. the south pole never is on top of the planet. What changed was Scott Kelly. From his position what looked to be the top wasn’t always North. Now having said that… I couldn’t identify anything on my flight from St. Louis to New York, so hoping to identify anything from space would be ridiculous for me. Still, I’ll bet his feed is really interesting.